Now you can support any rescue or shelter across the country on Doobert! 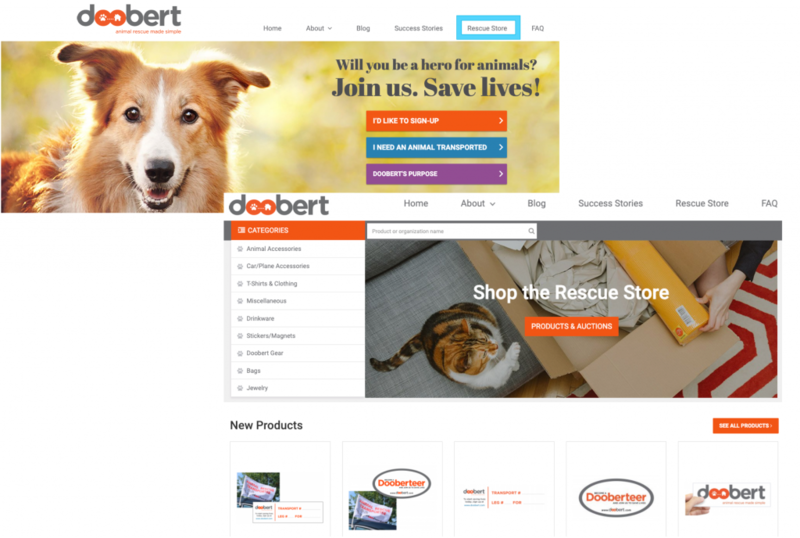 1.You can access from the Doobert homepage by going to Doobert.com and selecting Rescue Store from the banner at the top. Once there you can search by organization or browse by category. 2. To get to the Rescue Store from your MY DASHBOARD click on the purple storefront icon at the top. 3. If you don’t see your favorite Doobert organization listed, please encourage them to add items today. It will allow them to be seen nationally and receive more support!